Congratulations on a great year, Colby! I think planning the videos before your next puppy is born is a brilliant plan. I’m working on video, too, and I think it pays to invest the time getting it right. Actually, one of the things I’d spend the $1,000 on would be hiring someone to design the intro/outro and layout of my videos. I want all my videos to have some consistency, which is important from a branding perspective. Nailing that down with someone experienced makes sense to me. Thanks for taking the time to join the Challenge and all the best to you in 2019! Congrats on all your success and moving from part time to full time blogger! That is so impressive and really so few ever reach that point. Good for you! And gosh, I don’t know what I would do with $1,000 for my blog. I better give that some thought. I guess maybe go to more conferences, but not sure about that. Thank you! Let me know what conferences you go to this year. We’re only planning on going to the Mediavine Conference in Chicago right now, but we’re considering others. I’d love to meet up with other pet bloggers. Thanks Jill! An animated infographic sounds like a great idea! I’ll have to take a deeper look at doing something like that. Is that a service you offer? Thank you for all the great information you provide. I love following the 2dogsmedia site and the progress you’ve had on Charity Paws over the past couple years. I often look to your blog for inspiration. It’s so well written. And I often pin it to the point I get notices from TW that “you’ve pinned this before”. Also my brother just got a puppy so I sent some of your articles to the kids (ok young adults) who are tasked with training. Thank you for the feedback on my own article. Last night I was reading backlinko. And already have some new ideas for SEO. As for $1000 on my blog…. that’s a great question. I’d probably sit down with someone to help me with my content strategy to help me get clarity on what to focus on. I’m all over the place sometimes. In any event – excited for your puppy and following your journey. Thank you, Hannah! And thank you for sharing my content. I hope it was helpful for your brother and his kids. I’m all over the place too! Organization is something I’ve been lacking in my life for the past few years. I’m hoping to get myself back on track this year. I can’t wait for the new puppy too! Coming soon! Nice to “meet” you via the blog hop! I’m surprised I haven’t come across your blog before now. Best wishes for an amazing 2019. We’ve been here for a while, I’m glad you stopped by. All the best to you in 2019! Nice to meet a dog blogger and glad to see you are doing so well! Have a fabulous 2019, this is going to be such a good year for everyone I know it. Thanks Marjorie! I’m glad you stopped by to say hello. I hope you have a great 2019 as well! I’m new here from the Pet Blogger Challenge and I’m so happy I found you. 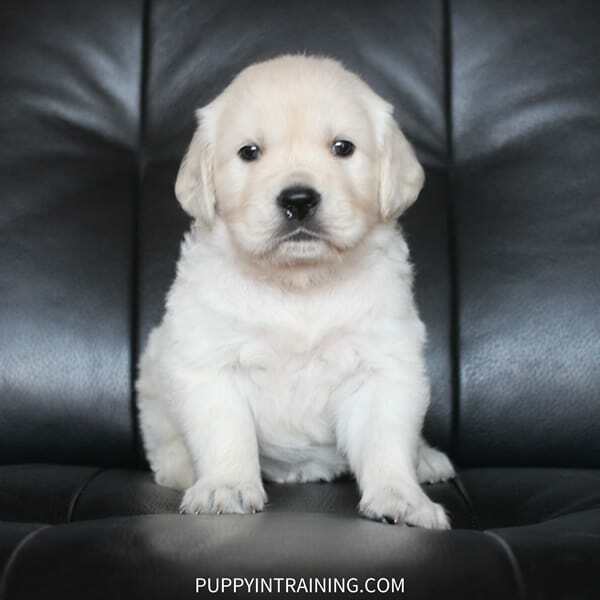 I’m raising a service puppy – my first! She’s 9 months old now and I only have her for another 7 weeks before she goes back into her program for more training. I will be heart broken but also somewhat relieved. She’s a LOT of dog, and not super likely to be successful in working with a person with mobility limitations. I’m hoping that they find an alternative career for her that’s more active – maybe search and rescue? Anyway – it’s great to meet you. I’m eager to learn from you – both about blogging, engagement and dog training. Hi Michelle! Thanks for stopping by! That’s great you are raising a service dog puppy. Some of our friends have had their guide dog puppies career changed to search and rescue. Some dogs are cut out for different work or sometimes like my Stetson just want to stay at home and be your companion. I’m sure you puppy will choose the job she was meant to do. Again, thank you for visiting our blog. All the best to you in 2019!